Project Learning Tree is seeking Kindergarten, Grade 1, and Grade 2 classroom teachers to review a new, online instructional unit for students at these grade levels. 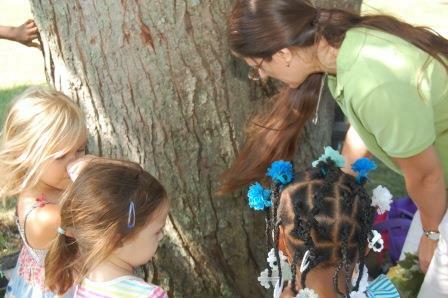 The K-2 unit, called Treemendous Science!, will invite students (and their teachers) to explore, experience, observe, and collect tree data to develop understandings about how trees grow, roles they play in ecological systems, and the ways in which trees and humans interact. Treemendous Science! is truly novel in its approach, as it was constructed around—rather than correlated to—targeted Performance Expectations within the Next Generation Science Standards (NGSS). K-LS1-1 – From Molecules to Organisms: Structures and Processes. Use observations to describe patterns of what plants and animals (including humans) need to survive. K-ESS2-1 – Earth’s Systems. Use and share observations of local weather conditions to describe patterns over time. 1-ESS-1-2 – Earth’s Place in the Universe. Make observations at different times of year to relate the amount of daylight to the time of year. 2-PS1-1 – Matter and its Interactions. Plan and conduct an investigation to describe and classify different kinds of materials by their observable properties. 2-LS4-1 – Biological Evolution: Unity and Diversity. Make observations of plants and animals to compare the diversity of life in different habitats. K-2 classroom teachers interested in reviewing PLT’s new Treemendous Science! unit this summer are invited to complete a brief application at http://pltpilot.org by May 10, 2016. Accepted K-2 practitioners will be asked to review the draft Treemendous Science! unit for their specific grade level (Kindergarten, Grade 1, or Grade 2). You will be asked about certain common unit components (such as unit introduction, teacher background, learning centers, and green schools connections), as well as the customized age-level specific instructional content. Selected practitioners will not be asked to field test any of the content, rather they will be asked to read, review, and respond to detailed questionnaires. Stipends are available for all accepted selected K-2 participants, based upon the successful completion of all project components. 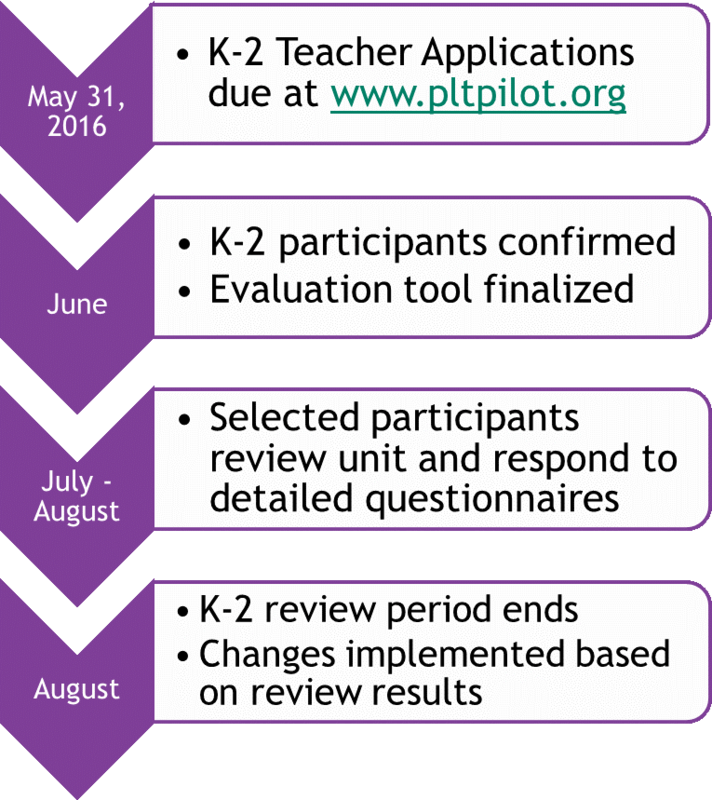 National PLT will confirm teacher participants in June, and the review period will last approximately 6-8 weeks immediately following (approximately July – August). Please be advised that classroom teachers of Grades K-2 will be given priority, and stipends will be sent following the successful completion of all required questionnaires. We also invite you to share this opportunity with others. Contact Jaclyn Stallard (jstallard@plt.org) with any questions or concerns.